Krohn Racing has confirmed it will run a full 2015 season in the European Le Mans Series, as well as enter the 24 Hours of Le Mans, in the first season with its new Ligier JS P2 Judd. The ELMS runs at Silverstone April 10-11, Imola May 16-17, Red Bull Ring July 11-12, Paul Ricard Sept. 5-6 and Estoril Oct. 17-18. Given Tracy Krohn is a Bronze-rated driver, ELMS LMP2 will work well from a competition standpoint, the team said. 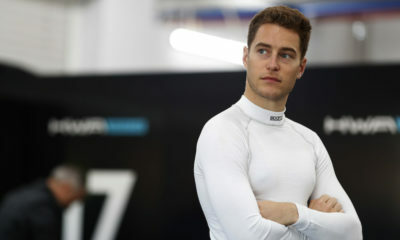 “It suits us in the P2 class with Tracy being a Bronze-rated driver, to be competing against other drivers on a level playing field, which hasn’t always happened to him for a long time, and we feel this will give us a fair shot at success,” said team manager Gary Holland. Previously, Krohn had announced it will run the first two races of the TUDOR United SportsCar Championship season at Daytona and Sebring. While the programs have been confirmed, no additional drivers have been named for the team’s selected endurance races. The potential also exists for further races in the U.S.
Krohn Racing recently completed a two-day test at Austin’s Circuit of the Americas with Krohn and Nic Jonsson sharing the car. “The car has enormous potential and already is very fast,” Jonsson said. “We have been looking at different tire packages that we will run in Daytona and Sebring and we’re going to also run a different tire package in Europe this year.